There are multiple ways to add a liability waiver to your trip. The easiest is to incorporate it to your participant questionnaire (accessible in the Participant Information section of the trip builder). Please see examples below. 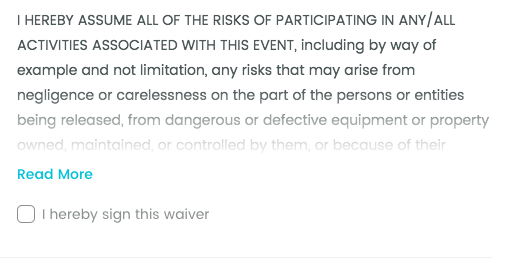 a) Choose question type "Checkboxes", but only with one option "I hereby sign this waiver". Make sure that the question is marked as required. This way, your participants are required to electronically sign the waiver during the checkout before they are able to book their trip. 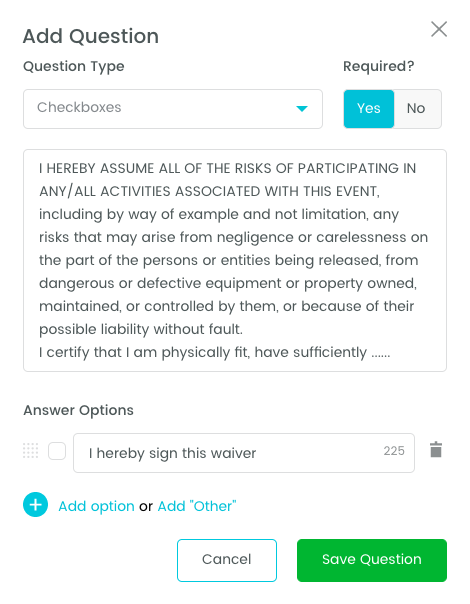 b) Choose question type "Text Answer", and add "I hereby electronically sign this waiver with my initials" or similar to the end of the waiver text. Make sure that the question is marked as required. This way, your participants are required to electronically sign the waiver during the checkout before they are able to book their trip. c) Alternatively, you can just post a link to your waiver in the question form. Any link you post will be clickable and take people to your page. Make sure that the question is marked as required. 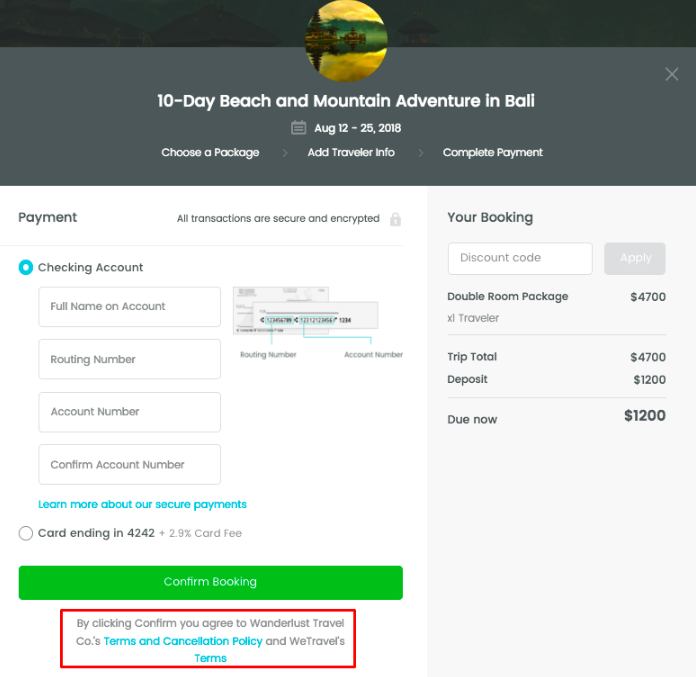 This way, your participants are required to electronically agree to the waiver during the checkout before they are able to book their trip. 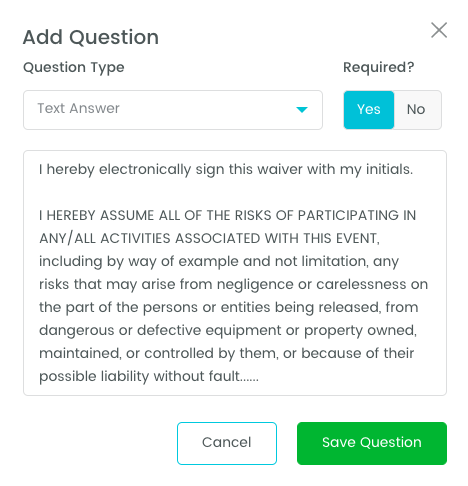 If the waiver is long, our checkout form will automatically only show the first 6 lines of the waiver, with a "Read More" button. That's it!! Start organizing your trip here. To add your Terms and Conditions, simply go to your profile and add a link to your T&C (please make sure you include the https:// in front of the address). Learn more about WeTravel Business here!